New! 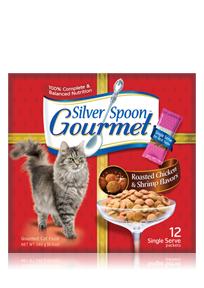 So many delicious ways to feed your cat with Silver Spoon Gourmet! Packaged as single serve packets to maintain Fresh Flavor for the Best Taste! Or even serve as an occasional treat!